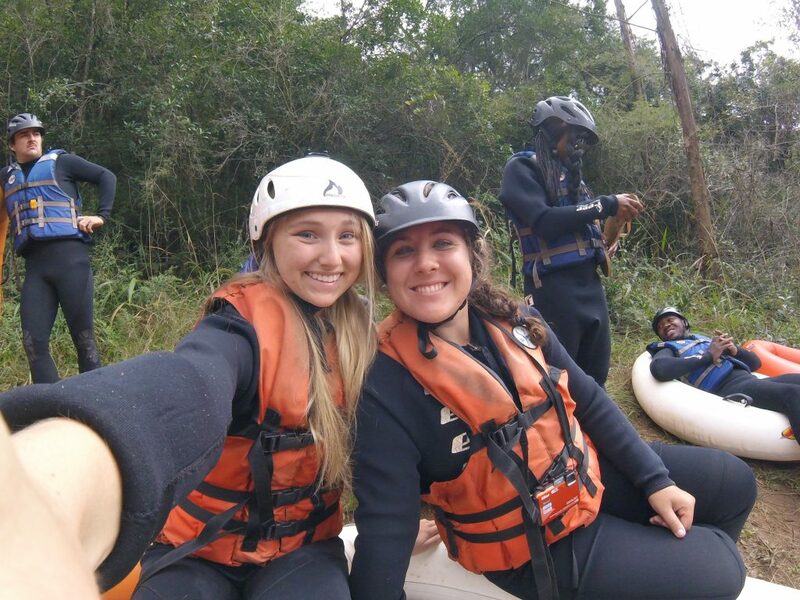 The next segment of the IES Spring break tour led our group to a ‘lazy’ rafting trip in the outskirts of Nelspruit; a mountainous and lush landscape about an hour from Kruger National Park. We wet-suited up, due to the cold, but were confused when we additionally had to wear helmets. Turns out, the river was no longer lazy with the excess rains. 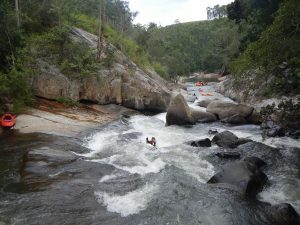 In fact, this rapids journey ended up being one of the scariest but thrilling adventures that I have ever experienced. 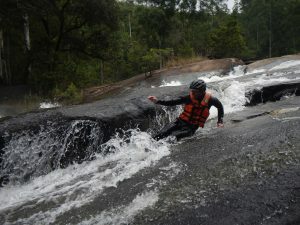 A couple of years back I went white-water rafting and loved coasting over the rapids. Looking back I think it was the addition of a guide on the raft that aided in my ability to focus on the fun and ignore my inner fear of falling out of the raft. On this river, we were given a single tube so I no longer had this luxury. 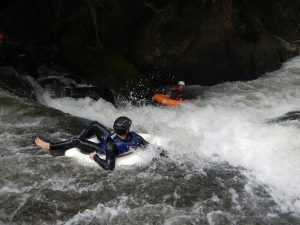 Luckily, I got over this worry real fast as my first rapids found me spiraling down the river without a paddle or my tube. Although slightly terrified, it ended up being one of the best adrenaline rushes yet. It was an extreme roller coaster that was super fun! 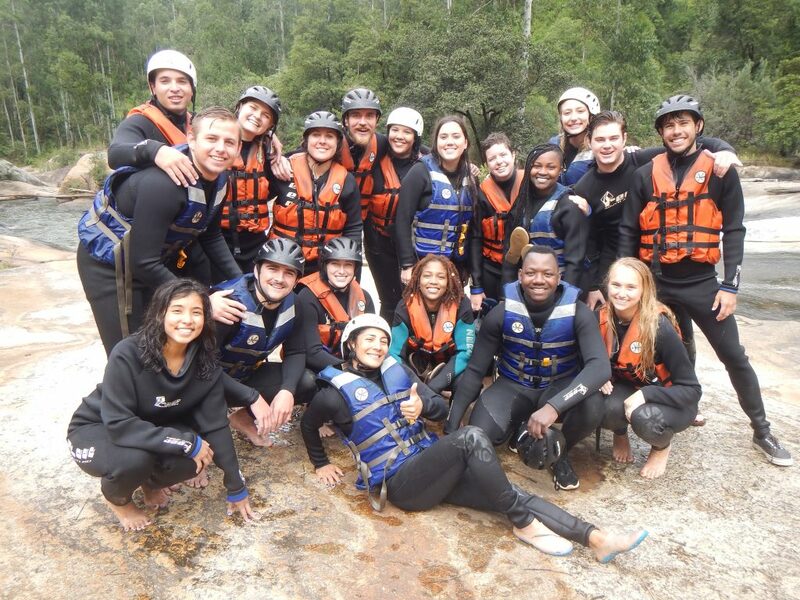 Along with floating down the rapids, the journey was heightened when we hiked in the rain forest to bypass dangerous rock formations in the river and jumped 20 feet into a pool to go around a waterfall; it was so beautiful! Although there were mixed feelings about the activity, I think it was cool that we were able to get through safely as a team 🙂 The students in my program have truly become a family away from family. 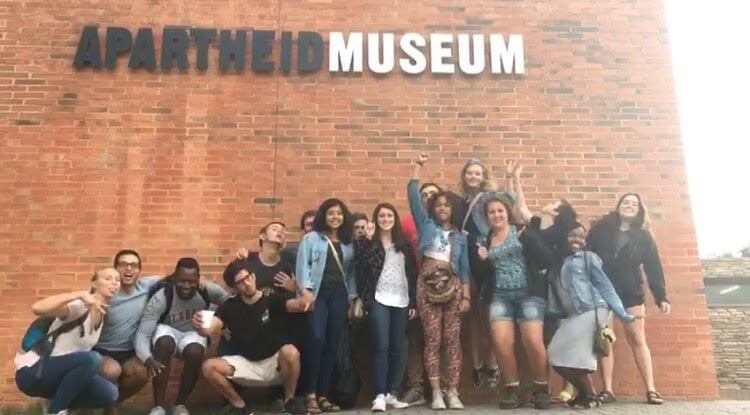 After our morning adventure we made our way to Johannesburg to tour the Apartheid Museum. It was quite a change of pace but necessary in order to capture the diversity of South Africa. 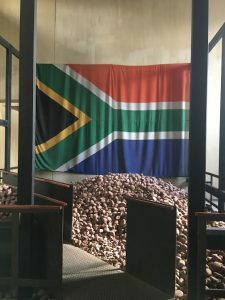 The commonly interpreted apartheid struggle of ‘black versus white’ was deeply explored in the museum whereby the intersection of human lives, skin color, and a turbulent political environment was explored leaving you with feelings of sorrow but a lasting call for hope. To enter the museum a ‘skin tone status’ was written on your card as either ‘European’ or ‘Non-European’. You could only go in the door that corresponded with your card. You could not control if you would be split up with your friend or traveling party. This start of the museum simulated the separation of individuals (even among family members) during apartheid based on peoples uncontrollable factor of skin color. Through this entrance, exhibits explained how the Nationalist ruling party had researched a variety of oppressive society’s to form the ‘perfect’ segregated nation. While the many terrible actions during the regime on both sides of the spectrum were depicted, the museum also commemorated the working efforts of the many individuals who fought against injustice. The work of Nelson Mandela was pivotal to the rise of democracy; however, his coming in to power would never have been possible without the efforts of the everyday South African. It is to these courageous people that the museum pays ode to. 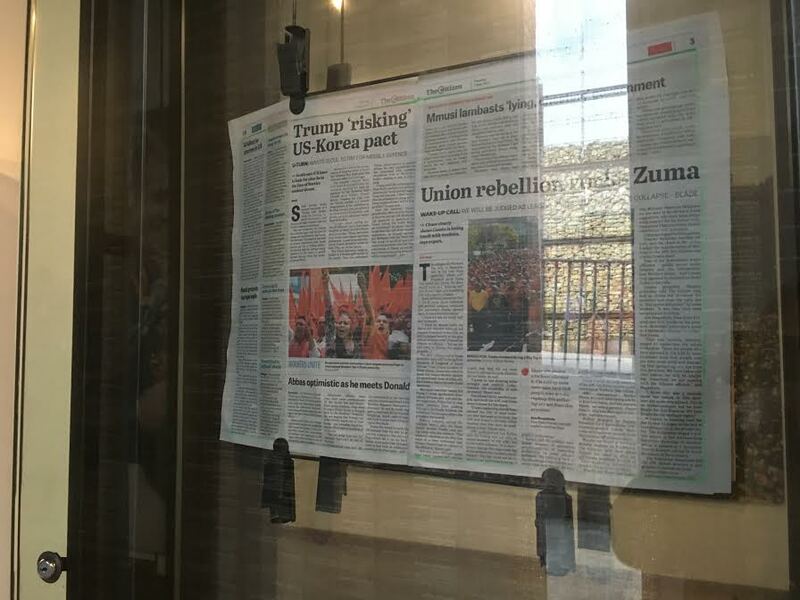 It was quite refreshing to view newspaper clippings of current politics and actions in protest to the highly controversial ‘past freedom fighter’ President Zuma. The museum expressed all of the nation’s history no matter how ugly and with total truth in these clippings. The current post showed the awareness of political matters in the South African people. 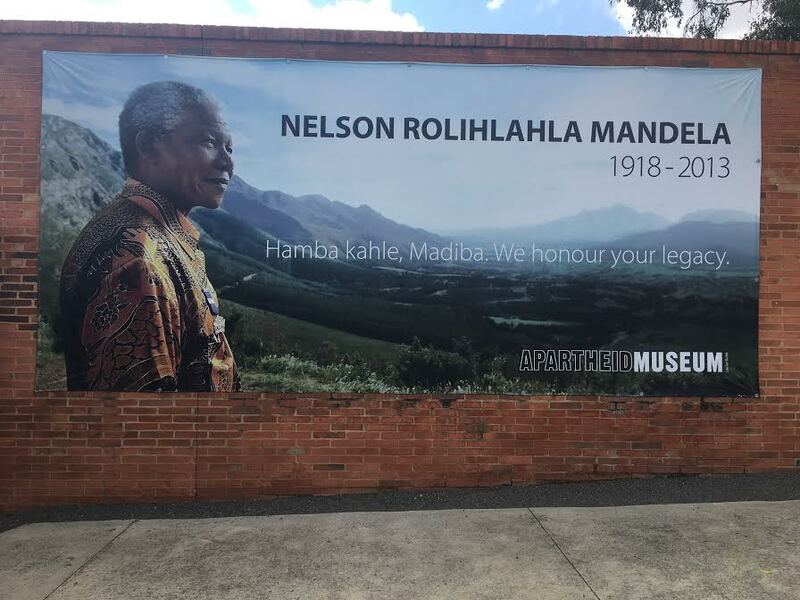 This political awareness seen at the museum and also in my time at the University of Cape Town leaves me with hope for the future of South Africa as I have viewed on multiple occasions people talk about politics and uncomfortable topics freely. There is something amazing about individuals from ranging back grounds and political opinions coming together in a civilized manner to discuss ways to reach a common ground that could make a world comfortable for all members. 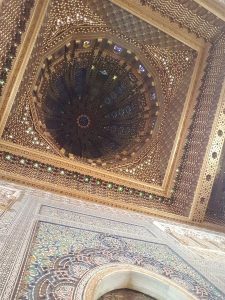 As you may have noticed from earlier blogs, my program strives to balance between immersing us in Granada as well as having us experience other locations nearby. By this point we have been to Alpujarra, Ronda, Sevilla, Málaga, Córdoba, and now MOROCCO! Yes, that’s right, a beautiful country on a different continent. 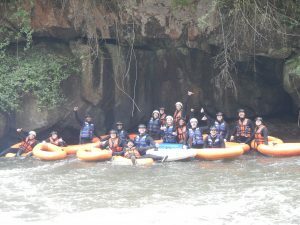 IES Granada has established strong connections with many people and organizations in Morocco such that we went in complete safety and with a plethora of unique opportunities that a typical tourist would not have. 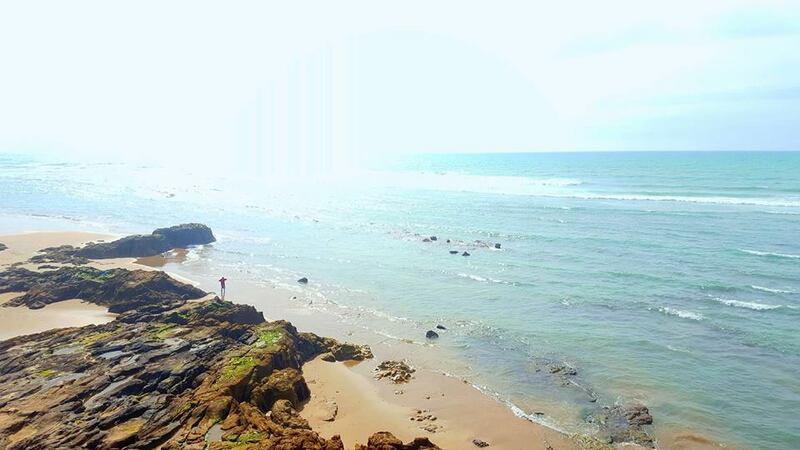 Here is the sea from the coast of Africa! Our Moroccan adventure began with a ferry ride of a mere 45 minutes from the coast of Europe to the coast of Africa. It is only about 8 miles between the two! We arrived in Tangier, a rather metropolitan area right by the sea. I think a common misconception, and one I myself had in some sense, is that we expect countries, or at the very least, continents, to look radically different. However, in many ways Tangier looked like another Spanish city, with tall buildings and an arid, Mediterranean climate. That being said, the first and perhaps most prominent difference I was delighted to notice was the clothing. As many know, Morocco is a predominantly Muslim and a therefore conservative country. Women often wear long, gorgeous, colorful dresses and head scarves and men wear their own version of dress or long tunic with small hats. As one with an affinity for fashion, I was enthralled to see such a different and beautiful style of dress. 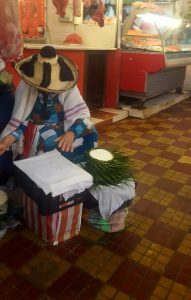 Here is a woman wearing very traditional clothing and a traditional hat. The next four days were a blur of beauty, travel, people, exhaustion, and amazement. With the help of our guide “Marky” Mark (I honestly have no idea why this became his nickname…) 17 of us became an inseparable group of young American sponges absorbing all there was to see, do, hear, taste, and touch. Side note: we were divided into small groups for the sake of travel ease, but 100 of us went in total! While in Tangier we roamed this city and visited the DARNA, an organization designed to help women as they are often in rather disadvantaged situations economically and socially. Here we met Hafsa, Sara, and Muhammad, three locals with whom we had very intriguing discussions about religion, women’s rights, homosexuality, politics, and everything else in between. Our second day in Morocco took us to Rabat, another city but substantially smaller than Tangier. (see here the Mausoleum of Muhammad V) Most cities in Morocco have what is called a Medina, or the old city built centuries ago, as well as the more recent additions. In Rabat we stayed with local families in the Medina! 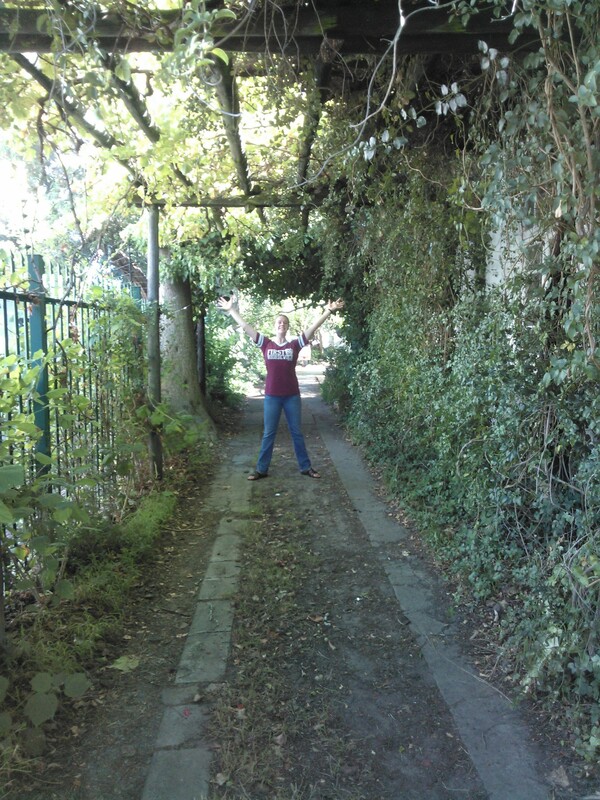 I was baffled to touch walls and streets older than my country’s founding! In R abat we met two more local students, Aishah and Muhammad (a VERY common name in Morocco). We heard their perspectives on marriage, education, and the current king Muhammad VI (told you). This trip taught me so much about Islam. I loved learning about its nuances as well as the commonalities and differences it has with my own religion Christianity. The primary difference between the two is that Islam claims Jesus to be a great prophet but not the Son of God. Moreover, He did not die on the cross! It was a friend who looked similar to him who died, according to Aishah and Muhammad. I confess I almost found this comical to imagine a parent trap kind of switch with Jesus and His doppleganger. However, I of course respect Islam though I may not agree. 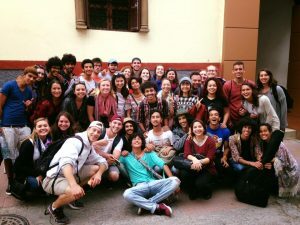 The third day was spent meeting a huge group of local Moroccan students studying English. These guys were super guay. 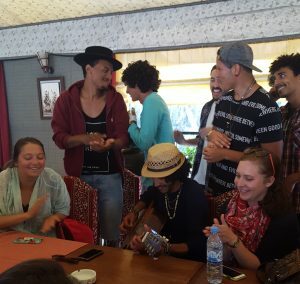 We roamed the city, sipped Moroccan tea, sang, danced, and even witnessed a rap battle between one of our program members and some Moroccans. Listen in! They were full of life and represented a liberal generation pushing for reform in Morocco. I am interested to see what Morocco will look like in 20+ years when they hold positions of power. Morocco could look quite different. This was probably the highlight of the whole trip for me! The evening held what I would consider to be the biggest culture shock yet. We went to a traditional humaam, a public bathhouse. Not a sauna, a full on, mostly naked or completely naked set of rooms with water splashing, soap scrubbing, and women of every shape and size imaginable. We left shocked but confident having received a serious boost of self-esteem in our body images. The media does not portray real women, so while jarring to see complete strangers stripped down the skin, we were reminded that there is no perfect shape. I am glad that I went, but I would not go again. After visiting the humaam feeling clean and sleepy, we had traditional henna done, another tourist moment. I think this was the most Moroccan we felt, decked out in intricate henna having scrubbed ourselves clean with Moroccan women minutes before. Before I talk about the last full day in Morocco, I find it entirely necessary to discuss Moroccan food! I anticipated dying from spice-overload but no, it was perfect. I had chicken Tagin, which is a very tender chicken with thick slices of fresh lemon cooked in a traditional pot that looks like a pointy hat placed on a plate. We also had Moroccan meatballs, traditional flatbread, beets, kebabs, and the most popular Moroccan dish: couscous. 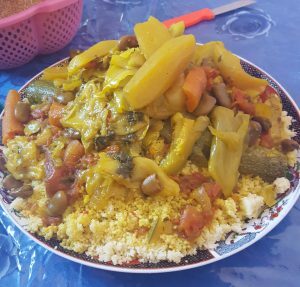 I think couscous is the Moroccan version of paella where it is made in massive vats and open to interpretation. Meals are concluded almost always with Moroccan tea: a very sweet brew with whole mint leaves and flowers floating throughout. I am not a huge fan of tea, but this was delicious. Our final full day involved seeing the enormous unfinished Mezquita of Rabat, visiting ancient Roman ruins, and driving to a mountain village to spend lunch with a local family. One of the family members is working on his master’s degree; his thesis is about terrorism and he kindly asked if he could interview us collectively about perceptions and causes of terrorism. This was an amazing opportunity to discuss with what the media portrays as the “enemy” a profoundly difficult topic. I was grateful for this chance. 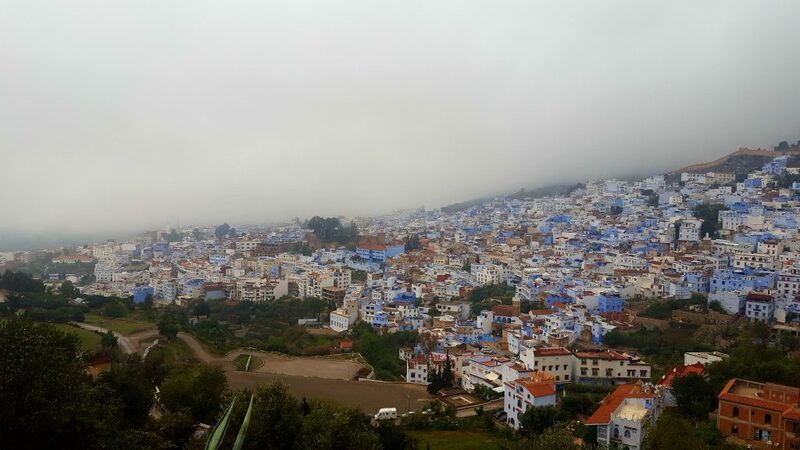 From the mountain town we travelled through the winding roads to Chefchaouen: the blue city! I do mean blue; nearly every building was painting some lovely shade of blue! Though we did not have much time, we did have the chance to roam the city for an hour or so and barter with shop keepers for various items. The city was magical. Exhausted, stuffed, and amazed, we passed out in our little hotel. On Tuesday, sharp reality hit. We had to cross the border into a section of Morocco still controlled by Spain therefore technically being Spanish territory. We were all suddenly reminded of our American privilege as we were able to skip the entire line while others waited and waited in the rain. I am able to come and go as I please but few others are as fortunate. This reality was perhaps one of the most significant “take aways” from Morocco. Another important reminder was that the mystical notions of “the other” as being quite foreign is seldom the entire story. 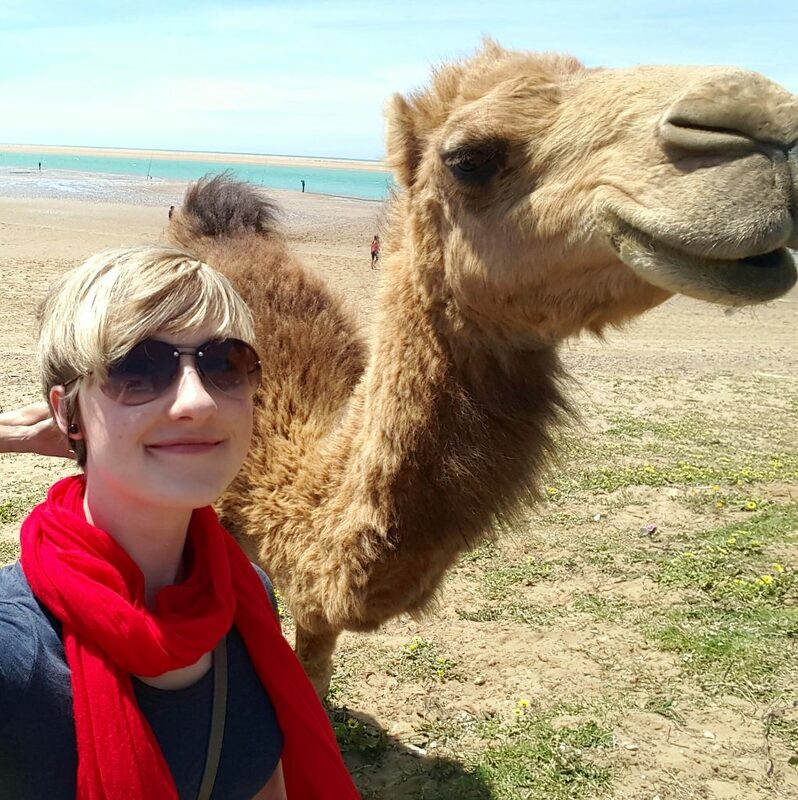 Everyone we met was extremely welcoming (Morocco is the third friendliest country according to national surveys), respectful of cultural differences, and quick to remind us of how much we have in common! Morocco was an amazing trip to say the least. Thank you, IES for the opportunity! Micro-bio: All the local Moroccan students we encountered in Rabat! I met Anass Ourabia, an economics and marketing student at the Muhammad V University; Eddie Ali, a physics major and an atheist in a very religiously conservative country; Jaafar Rezrazi, who is studying English at the same university as Anass; Ouaddi Ayoub, who plays a mean guitar and who almost has the same birthday as I do (I confess I forget his area of study! ); and Fatimzhra El Adnani, who is studying English but is actually passionate about Psychology. These are just some of the many students I spent the afternoon getting to know. They are all rather liberal in stark contrast to their environment as aforementioned, but very respectful and open to ideas. 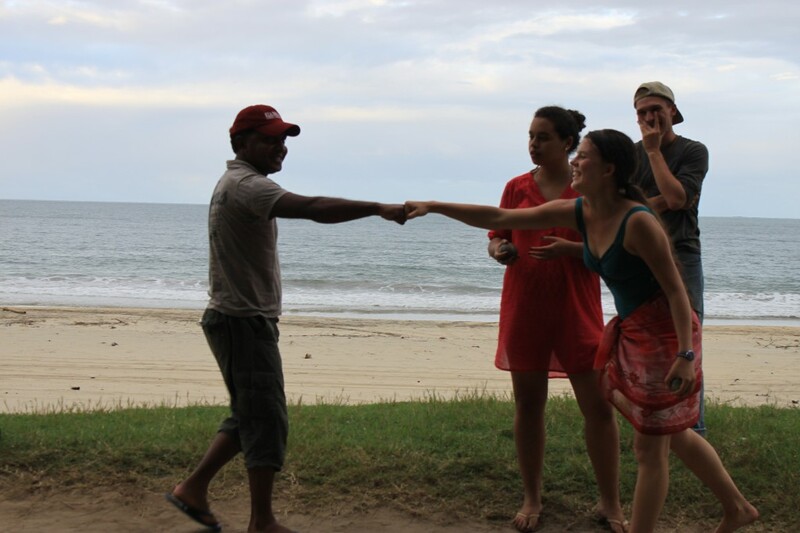 They collectively have excellent taste in music and spontaneously dance well. “You have to come back to Morocco,” said Eddie to me. “There are too many beautiful places you have yet to see.” Agreed. This past weekend we went on our last excursion to Ampefy. It was really beautiful – we stayed in bungalows with an amazing view over a huge lake surrounded by rice paddies and hills that used to be volcanoes way back when. 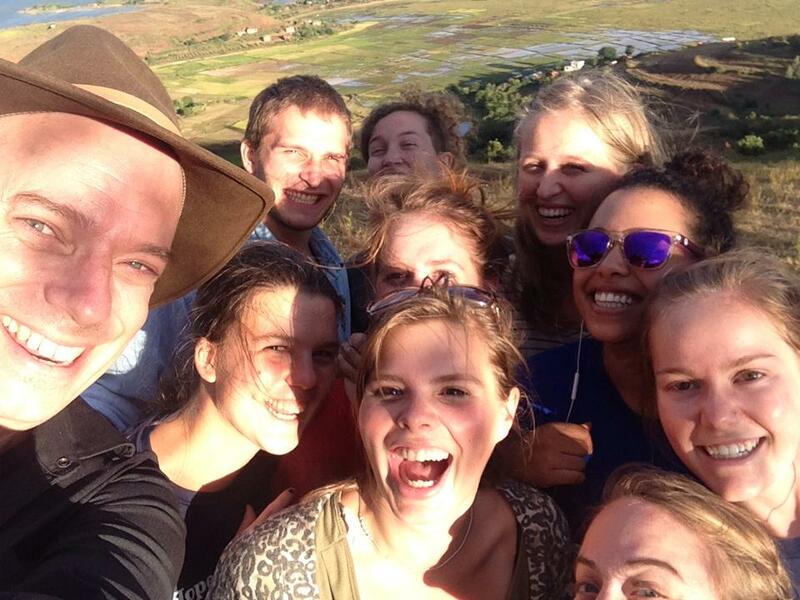 We had a number of opportunities to go hiking in the countryside, and it was a really nice peaceful way to end what has been a truly incredible 3 and ½ months in Madagascar. While at ampefy we convinced our program director Roland to take a selfie with us! I feel so blessed by this whole semester – the caring staff, the unbelievably good group dynamics between all us students, three amazing host families, and the million unique opportunities I had to see and learn things. 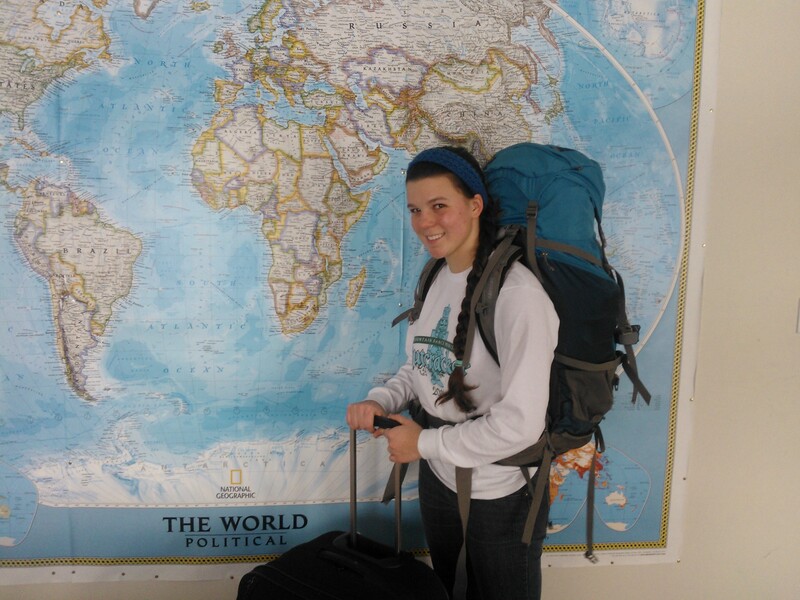 Looking back, I’m realizing that there’s no way I could have experienced this country in the same way, and in as much depth, if I had come for any reason but this study abroad program. Not in such a short amount of time, in any case. In a way I feel ready to go, but only because we’ve been talking about leaving and saying our goodbyes to various people and places in stages for a while now. 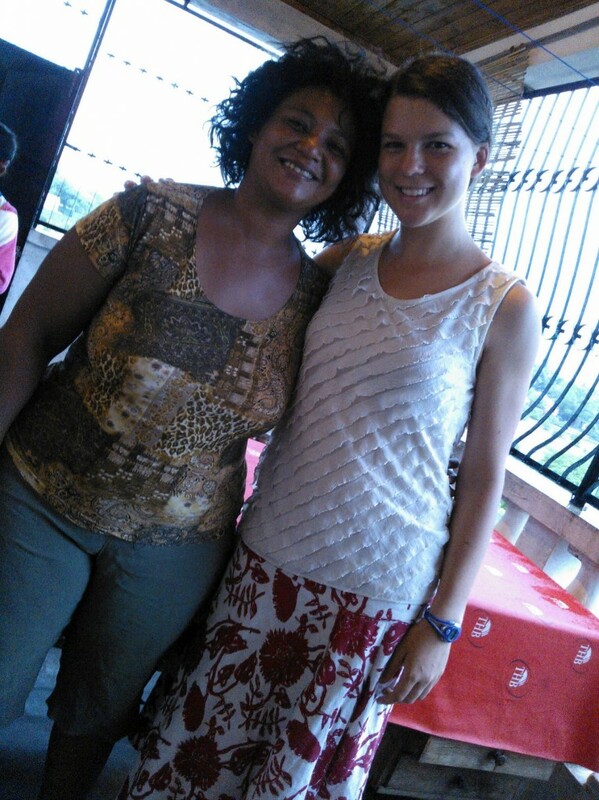 Two weeks ago was the last time I saw my Betafo host family. Last week I moved out of my Tana host family’s house. Last night we took the staff of our program out to dinner to say thank you and farewell. 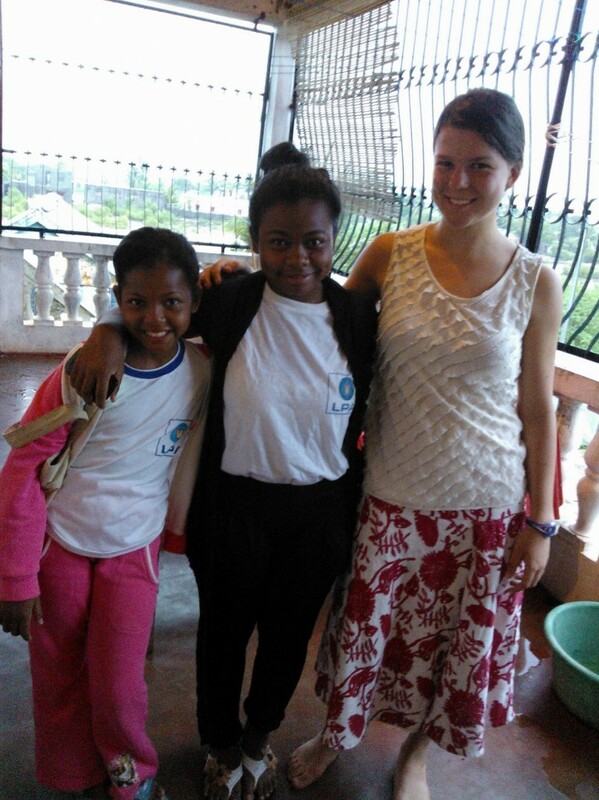 Today I waved goodbye as 3 of the students in our group took a taxi to the airport. The end is imminent, and everyone can feel it. I imagine this is kind of what graduating feels like, but it’s different in that it seems more permanent, more final. 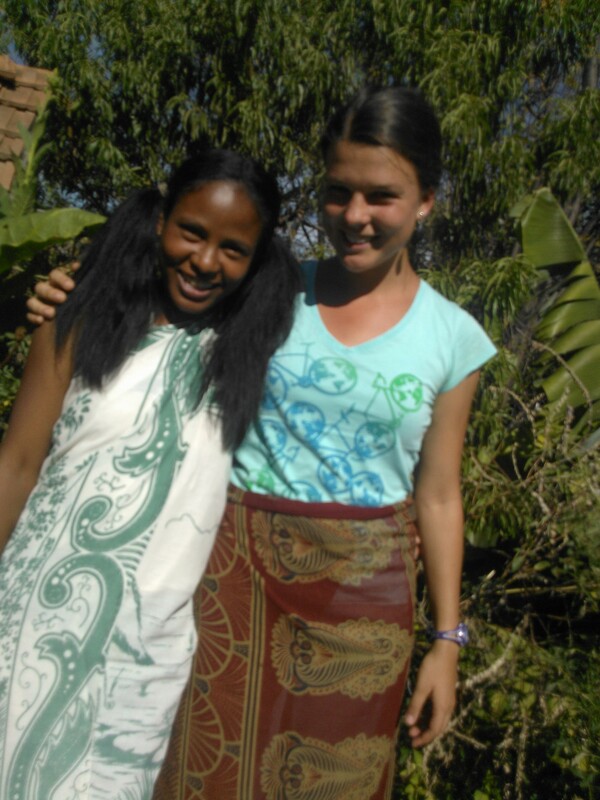 When I leave Madagascar, I’m not just leaving a country, but I’m leaving a way of life, a language, and all the people I’ve met here, potentially forever. I really want to come back, and if it’s in my power I will. I won’t deny I’m already thinking of ways I might be able to spend a gap year here after I graduate. Of course, regardless of whether I come back or not, next week at this time I’ll be the US. I’m sad to leave my new family and friends, but excited to see old my family and friends back in the states.Veloma, Madagasikara. Amin’ny manaraka indray. It’s been a month since my last update, and there is so much I could tell you about, it’s difficult to decide what to write about. I spent 3 weeks back in Betafo (the rural area I stayed in for a week in March) doing field work for my independent study project, and then this last week I spent back in Tana (the capital) writing up my findings. Although I presented my project last Friday, the paper is still on my mind since I still have some editing to do, so I think I’ll use this blog post to give you an overview of what doing the project was actually like. In the beginning it was difficult to explain to my host family that I was there to do an academic project, not just on vacation. 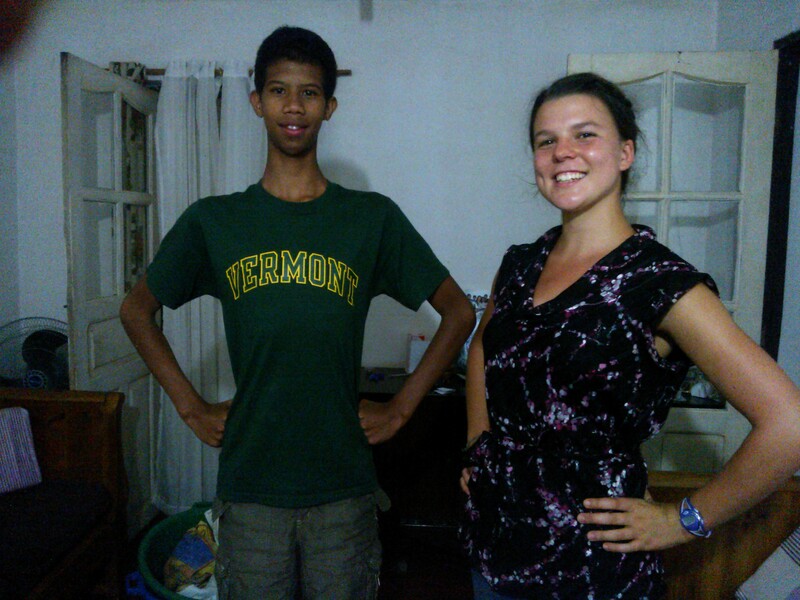 The previous time I stayed with them I had absolutely nothing I needed to get done, and never went anywhere alone, so this time, when I told my host dad, in broken Malagasy, that I wanted to go into town by myself to talk to doctors, it caused much confusion. None the less, he did let me go, and after a few days my family got used to my new schedule. Most mornings I would walk into town and spend a few hours at the CSB (Centre de Santé de Base, i.e. basic medical clinic) or district hospital, observing and chatting with the doctors and midwives. When consultations ended around noon, I’d head home for lunch, and spend the afternoons writing down what I’d learned and interviewing residents and local government officials. My time in the clinic/hospital was pretty much the same as shadowing doctors the way I’ve done in the US and South Africa in preparation for med school, except that in Madagascar gaining access to do so was much easier. I could literally just walk into the dentistry, or maternity, or laboratory, or any other section of the hospital, explain to the person working in that department that I was a student doing a project related to public health, and be allowed to stay and watch everything going on. The staff was really friendly and helpful, and in fact, the doctors at the clinic were quite ready to let me take part in examinations and even administer injections. Although I was tempted to try, you’ll be relieved to hear that I refrained! In the US it’s very much taboo to perform procedures like injections without training. 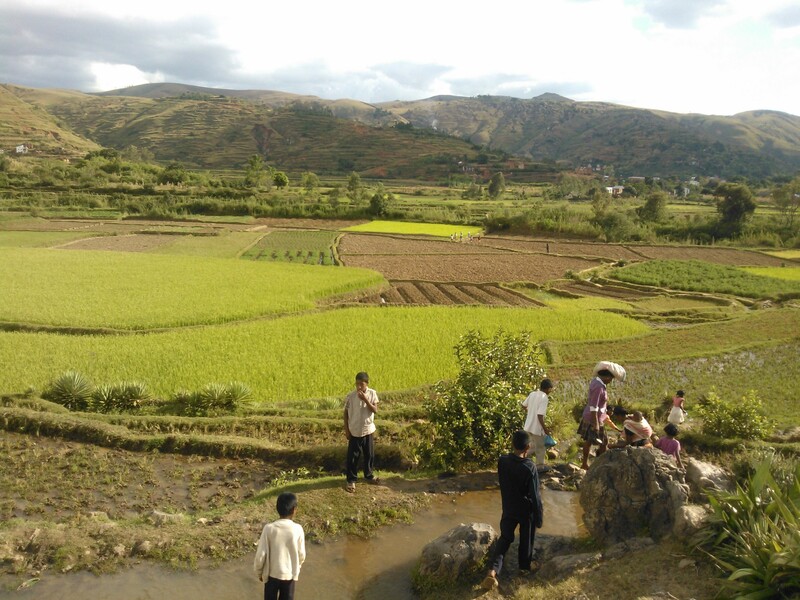 The project culminated in a 40 page paper, so I couldn’t possibly share with you everything I learned in this post, but I will say it was fascinating to see how the practice of medicine changes based on the resources available and the local context in general. For example, in Betafo there is a program for malnourished children. Community agents identify at risk children (0-5yrs) on a neighborhood level, and send them to the CSB on Tuesday morning. At the clinic they measure the height, weight, and circumference of the arm of the child, and based on these measurements determine if the child is undernourished or not. If he/she is, the parent is given enough “plumpy nut” specially formulated food to supplement the child’s food for a week, and told to return every Tuesday for a check up until the child is better. All this is completely free, and for this reason the parents have to bring back the empty plumpy nut packages each week to prove that the food wasn’t sold but rather consumed by the child. What an interesting contrast with the US, where the focus is on preventing obesity, not undernourishment! The ISP is a qualitative research project, based almost entirely on interviews and observation. The SIT staff like to call the project a “field based academic training,” and they keep stressing that the process of doing the project is almost more important that the results, so the challenge for me is trying to temporarily leave behind the quantitative scientific approach I’m used to as a Bio major. I’ve chosen to do my project on public health in rural Madagascar, specifically the Betafo area. Basically, the project is going to be an overview of medical resources, health conditions, common health problems, and possible solutions in the area. I’m an aspiring med student, so this project will hopefully be informative of my future career goals. As part of my research I plan on interviewing the staff at the local clinic and hospital, the local government officials, the local traditional healer, and the residents themselves. My ISP academic advisor helped me come up with a lot of interview questions, and one of my language teachers corrected my French grammar and helped me translate the questions into Malagasy, so I’m feeling ready, and I’m excited to get started. Although I’m really hoping to improve my Malagasy during this project, at this point I really can’t conduct interviews in Malagasy (I might be able to practice the questions beforehand but that doesn’t mean I can understand the responses I get!) so one hurdle will be finding someone to translate for me. Since the program has contacts in one of the local schools, though, I should be able to find someone through them. While in Betafo I’ll be staying with same host family as I did a few weeks ago, which I am very much looking forward to. That means I won’t have internet access for the next 4 weeks, because there is no internet in the village (not surprising since most people don’t even have electricity! ), so don’t expect the next update until May. PS. I realized I haven’t share any pictures of my Tana host family yet, so here they are! Driving home in the taxi-be – Tana is in a 24/7 traffic jam! Le Marché: It is possible to buy just about anything from a vendor on the sidewalk – prepared food, tv antennas, undergarments, car parts, raw meat, jewelery, live poultry… I’ve even seen a man sitting on the sidewalk with a bathroom scale offering to weigh people for a small fee! Fresh food: Because most people don’t have refrigerators, food here is really fresh. For example, many people, including my host mom, buy live chickens and slaughter them themselves! My previous host family lived near a house that raised crabs, which they only sold live, so any dead crabs were thrown out in the unofficial garbage dump next to the road leading to my house. Sometimes they weren’t as dead as the crab vendors must have assumed, so we’d find one crawling around in our driveway! Fish are sold completely unprocessed (although dead) too, and on Sunday I learned how to gut one. Useful life skills 🙂 Plus it was pretty much an unofficial dissection – who says I’m not doing Biology during my study abroad semester?! Special relativity: There is a unique kind of special relativity observable in Madagascar. Due to its effects things can fit into spaces which under ordinary conditions they would not fit into. This applies to passengers in vehicles, vehicles on roads, and vazaha (foreigner) length femurs in the “legroom” of a taxi-be. Unlike Einstein’s relativity, however, the slower the speed, the greater its effects. Cake for breakfast: As I mentioned in a previous post, rice is the staple food in Madagascar, and it is eaten for almost every meal. Both host families I have stayed with so far didn’t consistently eat rice for breakfast though – instead, we had bread with off-brand Nutella, or cake, or my personal favourite, pain-au-choco (a type of bread like pastry with chocolate chunks in it). Certainly a different approach than I expected. 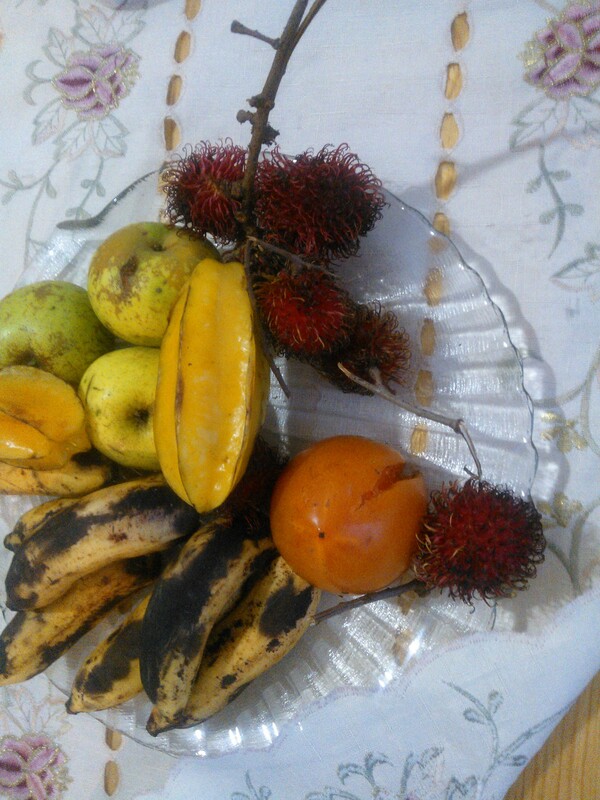 On the other hand, fruit is considered desert! For the South Africans reading this: Shoprite (a chain of grocery stores) exists in Madagascar! It came here via South Africa so it still labels almost everything in English, and is popular among the Malagasy. Unrelated to all that, here are a few photos! 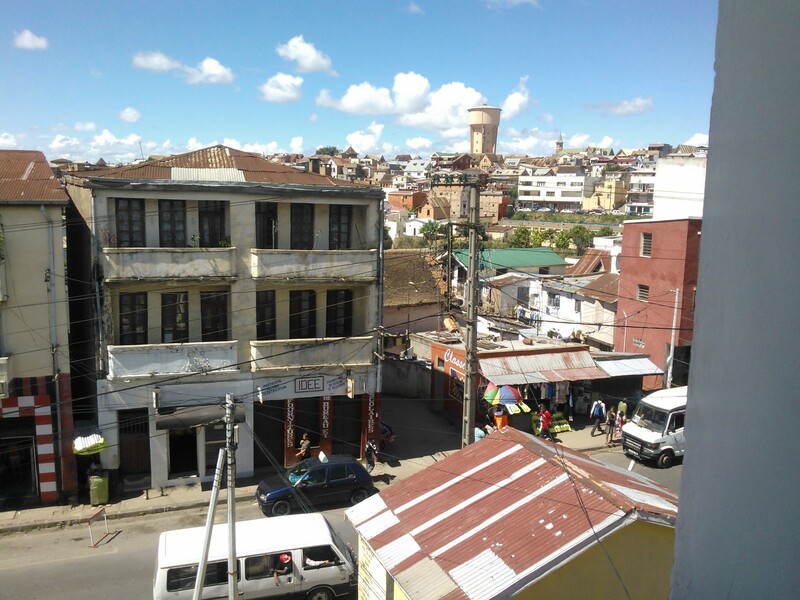 Today is my first day back in Tana (Antananarivo) after a two week stay in the coastal town of Mahajanga and a visit to the farming town of Marovoay and the Ankaranfantsika national park on the route back. I have many fond memories of my stay in Mahajanga, some of which relate to my adventures with the public transportation system getting lost. 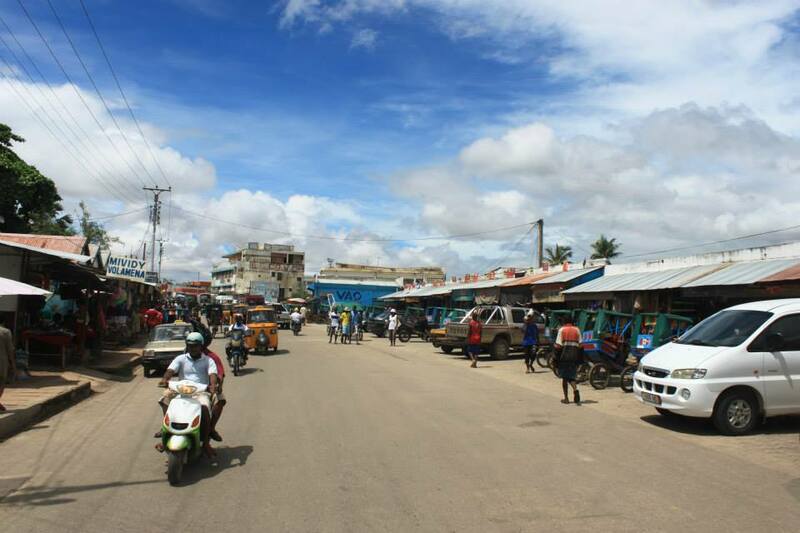 There are five methods of public transportation in Mahajanga: Taxi-be, taxis, badajaja, posi-posy, and my personal favourite, mandeha tongotra. Posi-posy are like rickshaws – colourful wooden carts pulled by men. 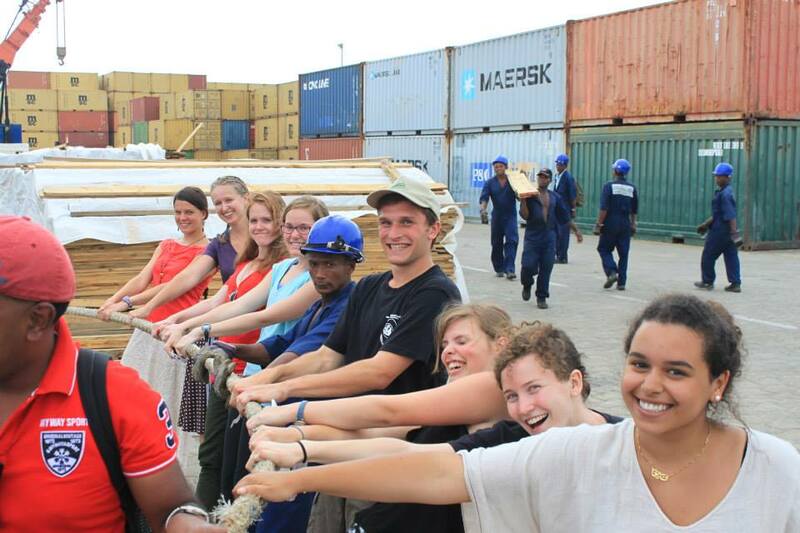 In Mahajanga they’re used to transport people or goods. Taxis in Madagascar the same as one might think of in the US, except they have no problem with filling their car beyond official capacity – the first time I took a taxi there were 7 of us in the car! Badajaja are three wheel bright yellow little vehicles with roofs but no walls. Like taxis, they will drive you wherever you ask in the city, but are cheaper and smaller than normal taxis. 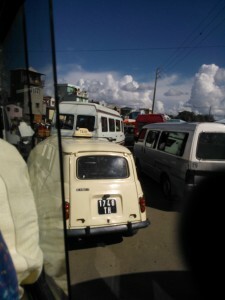 Taxi-be (“be” means “big” in Malagasy; some people also call them buses) are mini buses that do continuous circuits of the city, and the main type of transportation I use. They are colour coded and numbered based on the route they follow, and cost only 300Ar (about 10 US cents) per ride. Each Taxi-be has a driver and someone at the back door who collects the fares from passengers and uses a system of whistling to let the driver know when and where to stop to let off passengers. I haven’t completely figured out all the whistling patterns it yet! One thing that is impossible not to notice about Taxi-be is the incredible amount people they can hold. Once all the “actual” seats are taken, the man at door hands out wooden planks to balance between benches, creating new temporary seats in the aisle. If after that there were still passengers who want to board, they just cram into the “space” at the back of the bus or even stand on the bumper, hanging onto the back of the bus. Whenever the bus passes gendarmes or policemen the extra passengers duck so that the officials won’t see that the bus is exceeding its capacity! The particular taxi-be I was supposed to take to class was always bursting at the seams by the time it got to my stop, so after a couple of days I resorted to taking a different one and just walking the last few blocks to the program centre. I didn’t always manage to navigate the system so well though. Once on the way home I boarded the taxi-be at a different location than usual. I had never taken this particular one before, so I wasn’t familiar with the route it took, but I knew it ended in the neighbourhood where I lived. As the ride went on the roads got smaller and smaller and bumpier and bumpier, and none of them looked familiar, but I kept hoping that any moment the bus would turn and end up back on the main road. 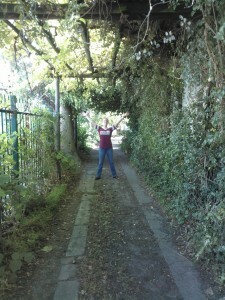 Of course, it didn’t, and it turned out I had taken the bus in the wrong direction! Luckily the driver was friendly and noticed me looking lost, so I got right back on the taxi-be and rode all the way back to my neighbourhood. And so what would have been a 30 minute walk turned into a 1h30min bus ride – but on the bright side I wasn’t late for anything, and I did get to see more of the city! 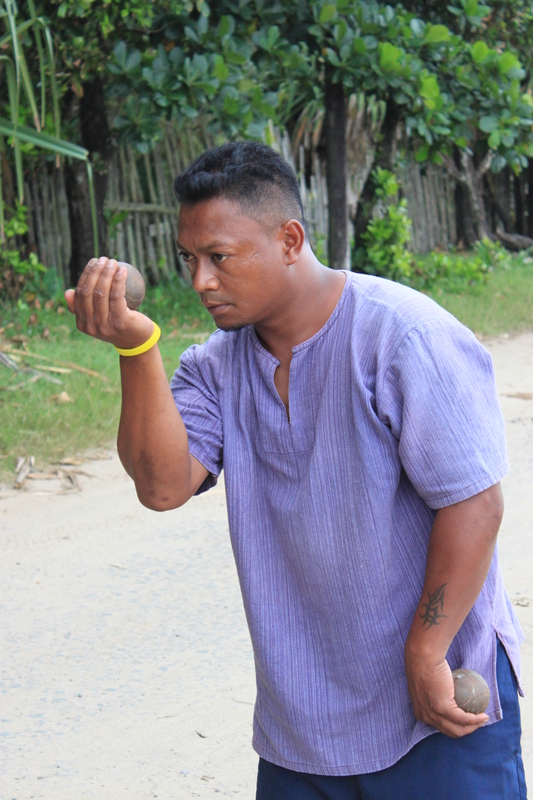 The last form of transportation is, of course, walking – mandeha tongotra in Malagasy. I walked to and from the program center on a few occasions when I wasn’t pressed for time – and only got lost once! 😉 That time I asked a girl I saw on the street for directions, and she ended up walking all the way home with me – a 45 min walk! It turned out she was a first year university student at the school of tourism, so it was fun chatting with her. Now I’m in Tana, and I have to get to know my way around a new city, and quite likely I will get lost again… but I’m kind of looking forward to it – who knows who I’ll meet in the process?! 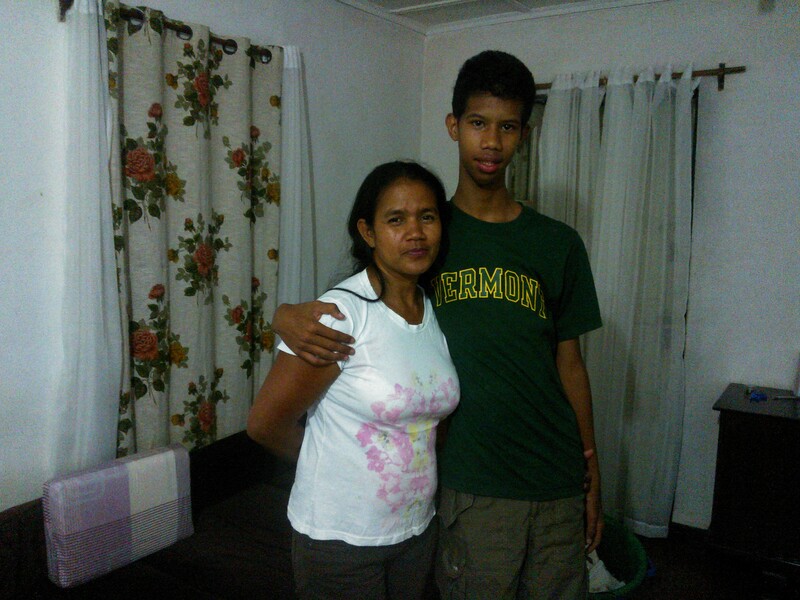 My host mom in Mahajunga! When I found I hadn’t used up all weight in my baggage allowance I couldn’t resist bringing my backpacking gear – just in case I get the chance to use it! On Saturday evening, my plane took off from the Detroit airport. After a layover in Amsterdam, my dad, my sister Melinda, and I arrived in Cape Town, South Africa without any complications. The flight itself was quite pleasant – we watched an absolutely ridiculous but very funny French movie, listened to some Dutch pop music, and actually managed sleep for about half of one the flights. By far my favourite part of the trip was seeing the sunrise over the English Channel just before landing in Amsterdam. The colours were brilliant and of course from our elevation there was nothing to impede the view. As we neared the airport, the plane circled and descended, turning away from the sun, and once my side of the plane was facing East again, the sunrise had disappeared behind the clouds and the curvature of the earth. If the plane had not turned, I might have watched the sunrise “unrise”! 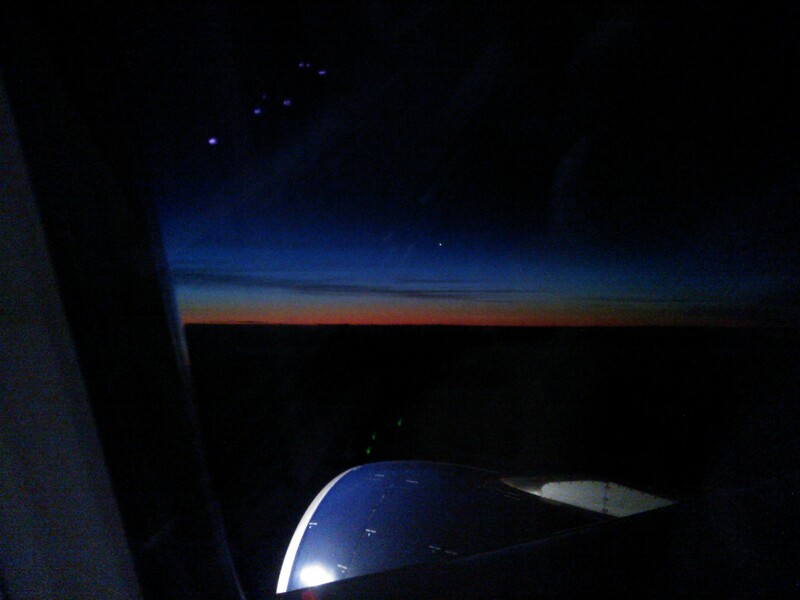 Sunrise as viewed from the plane – although my cellphone pic doesn’t do it justice. The blue cylinder at the bottom is the jet engine sticking out beneath the wing. Right now I’m in Stellenbosch (about 45min from Cape Town), where my dad and I are staying with one of my mom’s friends from her university days while my sister moves in and get’s registered at the University of Stellenbosch. My mom’s friend’s house is awesome – it’s right on one of the main roads in Stellenbosch, only a few minutes walk from campus, but it makes a stark contrast with everything around it. 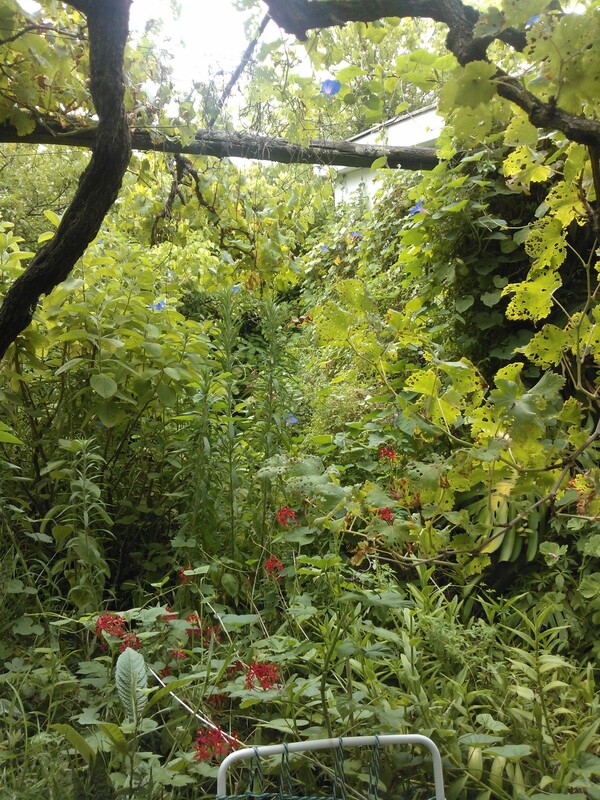 If the city is the picture of nature tamed and under control, her yard is the picture of nature allowed to run wild. Wild yes, but without taking over.While in the city humans control nature, here nature and humans live side by side without one controlling the other. 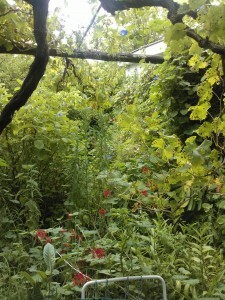 Vines and trees line the driveway, but leave just enough space for a car of modest size to fit through. Bushes, ferns, and grapevines surround the house, but leave room for one to see out the window and get in the door. The inside of the house has a similar feel – everything has a place, the place just isn’t necessarily on a shelf or in a cupboard. 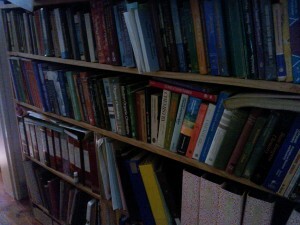 And I’ve never seen so many chemistry books in one person’s possession in my life! Nature may be more controlled, but Stellenbosch itself is beautiful too – it’s primarily a university town, and there are a lot of historic buildings in the Cape Dutch style. It is surrounded by mountains (my sister jokes that if you go running you can’t run more than 10 minutes before you find yourself going up!) and flowers, trees, and vegetation abound. It’s also the winemaking capital of the country, so vineyards cover the rolling hills that lead up to the mountains. 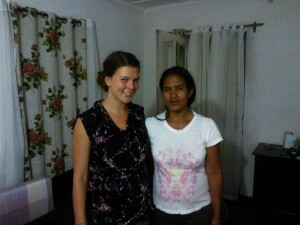 On Thursday morning I’ll be flying to Madagascar, while my dad stays in SA for business and Melinda starts her studies. Until then, I’m running errands, visiting family, loving the sun, and finding that I haven’t completely forgotten how to drive a manual (ie stick shift) car! Posted on February 4, 2014 Author lize-loubserCategories TravelTags Africa, MadagascarLeave a comment on Half way there!